During my week of teaching I come across all sorts of repertoire and technique. These are my ramblings and teaching from the week which I’m categorizing as weekly technique tips. This week is a tremolo lesson around the intermediate to advanced level using Una Limosnita Por El Amor De Dios by Agustin Barrios as a possible example. Tremolo is often thought of as a tricky technique and to some extent it is but it should come naturally to a relaxed and well-trained hand. 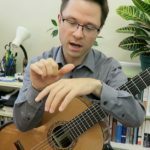 I didn’t use any particular exercise today but if you’re looking for a technique book you can check out my review of classical guitar technique and exercise books. These weekly technique tips are really great! How you manage to get all this done is remarkable. So is your technique, but the most remarkable thing of all is your ability to teach well. It’s been a bit over a year since I subscribed and donated to your work. Money well spent! I’ve developed a lot. Sometimes for me it’s slavishly adhering to technical drills, sometimes trying to build even the simplest repertoire. Then there’s my recent fascination with Flamenco. It’s all good! Keep up the good work! Thanks so much! Yes, it’s a bit tricky to keep up so I have to improvise a lot. However, I’m going to try to keep this connected to my weekly teaching so it’s not completely separate. Great lesson. One thing that would be really, really helpful is much longer stretches of video for each of the patterns at each of the speeds. 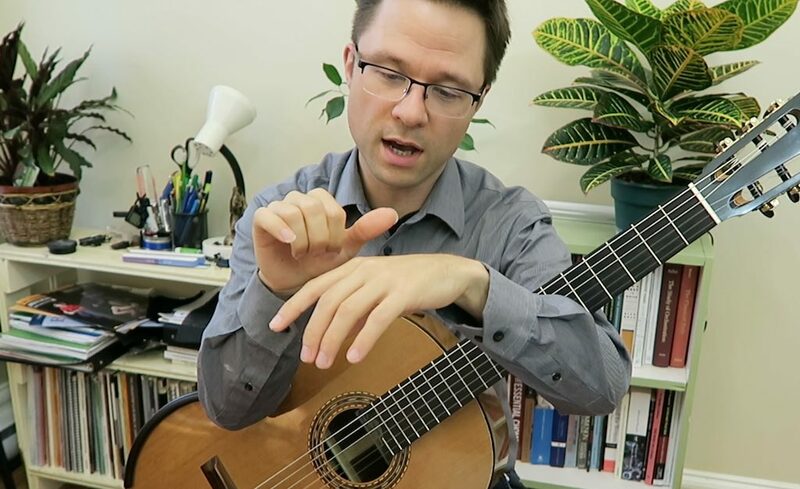 Playing along is a really great way to get a sense of the rhythm, but in the video above, each pattern ends so quickly you can’t really get into a groove.